Jamaica is an island of 11,000 square kilometers. It has a population of two and a quarter million people, half of whom live in the capital, Kingston, and its environs. A public transport service was provided in the post second world war period under a monopoly franchise, initially awarded to the Jamaica Utilities company, and after 1953 to BET subsidiary, Jamaica Omnibus Service Limited (JOS). The following pictures, believed to have been taken in Kingston in 1953/4 show a transitional period with new British-built vehicles being imported by JOS to replace older and worn out former JU vehicles. More information on any of the vehicles shown would be welcomed. In 1974, JOS was taken over by the government because it could not maintain service at the controlled fare. 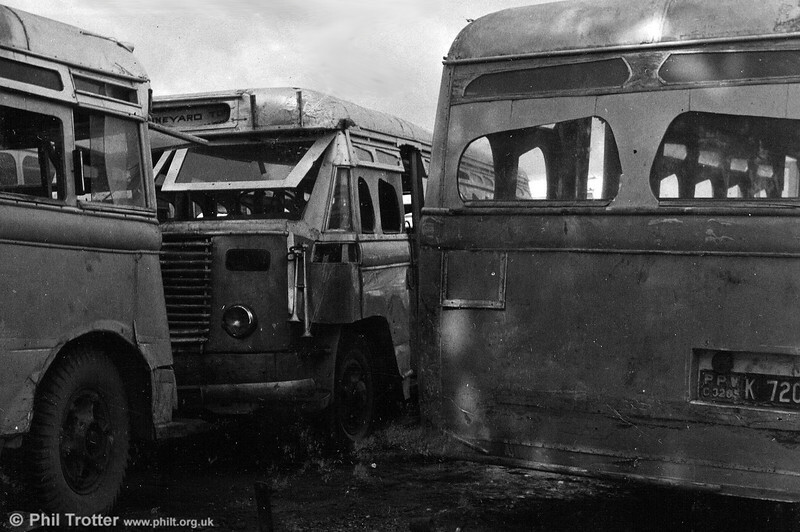 In 1980, routes were shared between JOS and the private sector Jamaican Mini Bus Association (JMBA). By 1983 the Jamaican Government could no longer afford to run it and bus operations were returned to private ownership, with franchises to operate routes or groups of routes being sublet by JOS. More of the vehicles taken over from JU, showing the very poor condition.